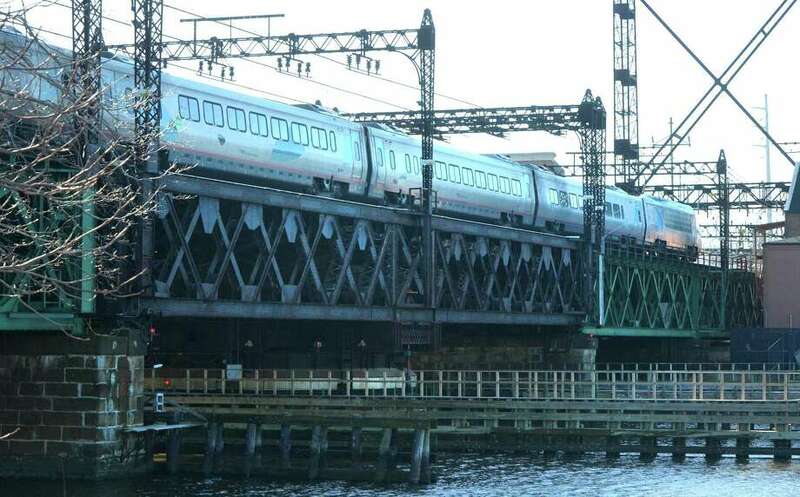 NORWALK — Metro-North’s New Haven Line experienced delays of up to 20 minutes due to problems closing the Walk Bridge in South Norwalk Monday morning. Residual delays lingered for about an hour later. Over the years, there have been frequent problems opening and closing the 120-year-old Walk Bridge over the Norwalk River. Next year, the Connecticut Department of Transportation plans to begin replacing the bridge, which it deems outdated and unreliable. Built in 1898, the bridge failed twice in 2014, disrupting traffic along the New Haven Line and the Northeast Corridor used by Amtrak. The DOT immediately began assembling state and federal dollars to replace the structure. Following the malfunctions four year ago, the DOT completed a $3 million repair program to keep the bridge operational until the new bridge is constructed. The department also implemented extra precautions to ensure it functions properly. The bridge is currently opened manually with the machinery activated by a qualified electrician and not by automatic controllers. It is inspected regularly by engineers to ensure it is safe for use and receives ongoing maintenance, according to the DOT website devoted to the Walk Bridge replacement project. Staging for two preliminary projects — rail and signalization upgrades on either side of the Walk Bridge — has begun with disruptions to properties. The owners of the properties at 19 and 21 Fort Point St. — home to Perfect Plantings LLC Creative Gardening and Landscape Specialists, and Fiesta Mexico Bar and Grill — recently learned the DOT plans to take their parcels to replace the nearby Fort Point Street bridge. The roughly $1 billion Walk Bridge replacement also includes replacement of the East Avenue and Fort Point Street bridges, as well as rehabilitation of the Osborne Avenue Bridge, according to the project website.